Hydrogen-powered cars are trying to make inroads in the rapidly-evolving automobile market. Several major automakers – including Hyundai, Toyota and Honda continue to invest heavily in the technology while selling a limited number of cars around the world. As the battery electric car market is really starting to take off, hydrogen fuel-cell cars are just barely getting started. Toyota introduced the Mirai sedan four years ago and has only sold about 5,000 of them in Japan, California, and some parts of Europe. Hyundai has sold about 1,000 Tucson Fuel Cell cars over five years. The Honda Clarity Fuel Cell model has barely sold as well. 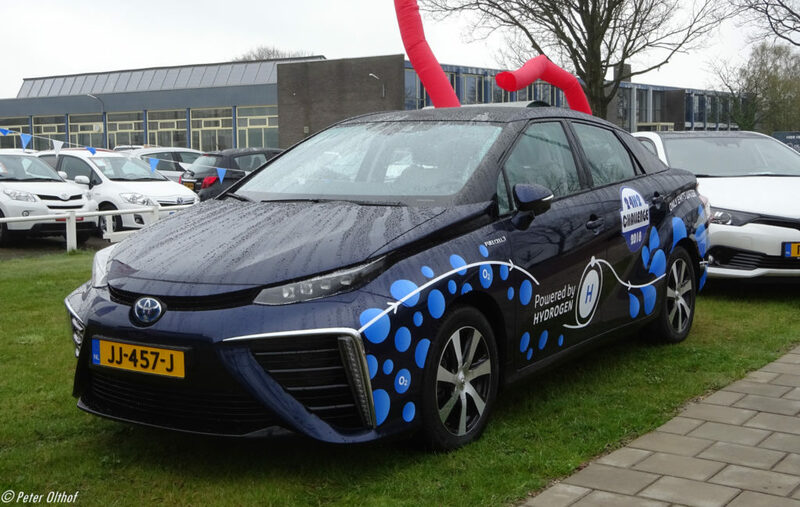 Fuel-cell cars are electric cars that produce their own electricity using a hydrogen fuel cell rather than taking it from a battery. The problem they face is lack of hydrogen infrastructure. There are hardly any hydrogen fuel stations anywhere to be found so use of the cars is pretty limited. Building more hydrogen stations and selling more hydrogen cars face a challenging chicken-and-egg problem. Meanwhile, the main advantage of hydrogen cars is that fueling them with hydrogen is as fast as fueling a gasoline car, which gives them an edge over battery electric cars that need to be charged. With the advent of fast charging technology – especially the version used by Tesla in its Superchargers – the amount of time required to charge an electric car on the road is often no more than half an hour, which has eroded the time advantages of hydrogen fueling. Tesla plans to introduce a new generation of Supercharger technology soon that is said to reduce charging times even further. It remains to be seen whether hydrogen cars can establish a beachhead in the automobile market. Photo, posted April 15, 2018, courtesy of Flickr. ‘Hydrogen Powered Cars’ from Earth Wise is a production of WAMC Northeast Public Radio.